Sharon Duncan provides coaching and consultation to parents, teachers, schools, and districts to help them meet the social, emotional and intellectual needs of gifted children. She also provides advice to parents on a variety of educational decisions, including homeschooling set-up and support. Sharon’s journey into studying “gifted land” began out of the necessity of trying to meet the needs of her exceptional children. During that process, she recognized the common challenges faced by the parents of gifted children. This fueled her drive to find a way to support the development of gifted children and their parents in a world that does not always recognize their needs, and often unknowingly misinterprets their behaviors. Sharon is a SENG Model Parent Group facilitator, and serves on the Mensa Youth Programming Committee. She has served on the Board of Trustees at a private k-8 school, and as President of the School Site Council for a public elementary school. She currently serves on the Advisory Board for a private k-12 school for highly gifted children, and is a member of SENG, the California Association for the Gifted, the National Association for the Gifted, the Profoundly Gifted Retreat and American MENSA. Sharon regularly presents at schools, school districts, organizations, and state and national conferences on various topics about gifted children. Sharon studied at California State Polytechnic University, Pomona, earning her B.S. in Business Management/Organizational Behavior, and a Minor in Government Contract Law. 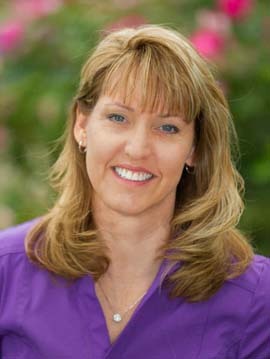 She went on to spend 26 years working at NASA’s Jet Propulsion Laboratory, where she experienced a variety of careers, including Project Manager, Section Manager, Contract Negotiator, Process Re-engineering Specialist, Disaster Recovery Architect, and is a NASA certified Lean Six Sigma Black Belt.